(CNN) -- On "Amanpour" this Thursday, Christiane Amanpour sits down for an exclusive live interview with the President of Zimbabwe, Robert Mugabe. 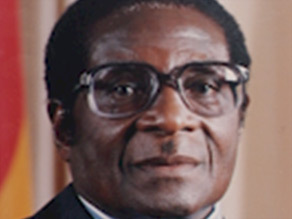 Zimbabwe President Robert Mugabe talks to CNN's Christiane Amanpour Thursday. In Mugabe's first interview with a major Western network in years, Christiane will explore the historic power-sharing agreement with the unity government there, and get the president's thoughts on the highly-emotive issue of land redistribution. As Mugabe prepares to take center stage at the United Nations on Friday, Christiane will take the opportunity to ask if the power-sharing agreement in Zimbabwe is really working, if international sanctions are responsible for his country's economic and political turmoil, and what kind of engagement he is looking for from the international community. In this rare interview, Christiane will also address signs of optimism emerging in Zimbabwe; sky-rocketing inflation stabilizing, basic goods returning to store shelves, and a loosening of restrictive media laws. "Amanpour" is CNN International's new live global interview program, which launched on September 21, 2009 as the centerpiece of its new evening line up. Live interview airs 2100 CET Thursday 24 September.